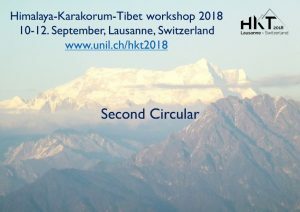 The abstract submission and registration for the Himalaya-Karakorum-Tibet workshop (10-12. September, Lausanne) is now open until end of April. Visit the conference website for the second circular and detailed information, including the logistics and the registration page.